No ATV/UTV tickets will be sold on the day of the event. If you did not purchase an advance ticket, due to limited parking at the base, you will not be able to park at the Auto Road. Please help us avoid the severe traffic issues we’ve had in the past – IF YOU DO NOT HAVE TICKETS, PLEASE DO NOT DRIVE HERE ON EVENT DAY. All factory 2-4-6 passenger ATV/UTVs are included. No 2 wheeled dirt bikes. Eye protection required. Helmets NOT required unless under the age of 18. No dirt bikes or trail bikes – this is an ATV day. 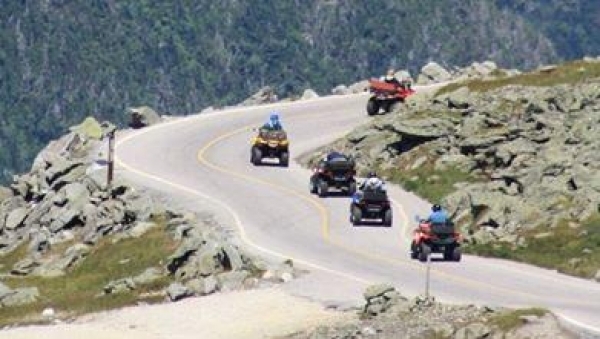 NH ATV CLUB will be posting scheduled rides…watch for updates.